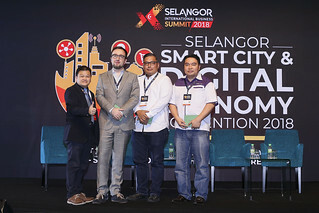 The final EC Class of 2018 was held on the 26th of June at the Selangor Digital Creative Centre (SDCC) by the Selangor Information Technology and E-Commerce Council (SITEC) on the topic of Mobile Marketing, which drew a crowd of 116 participants. Serving as coaches for the session were Joshua Hor, Marketing Manager of APAC Venture, and Ashikin Yee, Head of Payments of Revenue Monster, with both representing WeChat Malaysia on the topic of WeChat Pay. Starting the class was Hor, who introduced Revenue Monster and talked about WeChat, as well as about the soon-to-be-launched WeChat Pay. Providing himself as an example, he noted that people tend to pull out their smartphone more often than they pull out their wallet, which is a sign that smartphone penetration is at an all-time high. “This tells businesses that the best way to target the average consumer is through smartphones, and this is how you build a customer-centric strategy,” said Hor, adding that key points for the strategy are that it is easy, intuitive, and does not disrupt the customer’s life. WeChat aims to provide an end-to-end portal between businesses and customers, from awareness, to engagement, to transaction, where WeChat Pay comes in. Hor then showed a video showing WeChat in use in China, before passing the mic to Yee, who then spoke more about the WeChat ecosystem, WeChat Pay, and the merchant’s side of things. Yee noted that the ecosystem consisted of the official account, which allows a merchant to gather a following, after which that following can be incentivised through games and vouchers to visit the merchant’s store. In China, WeChat is used in a number of ways, namely as a platform, as well as an e-wallet. Users can even order at a restaurant and pay for the food without leaving the app. 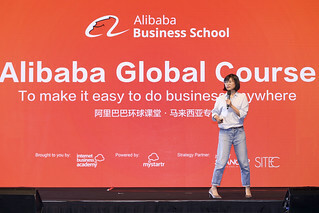 Part of the appeal of WeChat, according to Yee, was that it has a ready 20 million users already with the app, as there is no need to download a separate app, while allowing for businesses to immediately integrate their official accounts on their social media to communicate with their followers, as well as function as an O2O platform that enables cross-border sales, as it allows both the Chinese RMB and the Malaysian Ringgit. WeChat allows for message broadcasts, campaigns, and moment ads for customer interaction, and is capable of handling a loyalty programme as well. Revenue Monster offers a unified payment solution, which accepts major mobile wallets, and payment acceptance products, be it a terminal, app, or unified QR code. The loyalty programme is also customisable by the merchants, and is built into the WeChat ecosystem. Part of the ecosystem also includes allowing merchants to monitor their businesses, allowing a real-time view of operations. Next was Sharon Goh, founder of IT Comp Sales & Services, who talked about how her company is embracing e-wallet payment options, in terms of providing more payment options to their customers. Goh’s company is already partnered with a number of e-wallet payment options, namely Boost Pay, VCash Pay, and WebCash Pay. Goh advocates claiming the first-mover advantage in this regard, noting that e-wallet payments are on their way anyway, so why not be a leader and do it first? Another avenue Goh mentioned is to work together with banks or institutions as part of their reward schemes, or to work as an app partner. She noted that a common mindset was that “a lot of people consider using points to pay as free”, so why not take advantage of the surge in mobile users by working together with these institutions to reach a wider audience? From her perspective as a veteran player, there is power in accepting change and adapting to it. She shared an anecdote of a family member who went to China and wanted to join a tour, paying in cash. The hotel refused, noting that cash was not accepted. The moral, she noted, was that, with the change coming, it is better to accept it and be a part of the change, and being a player with trained staff and ready practices when the market adapts. She also noted that there were issues with handling cash as a merchant, namely that there will always be a chance that a robbery or an accident may happen, leading to the loss of the cash. Furthermore, insurance for cash in transit is a very expensive affair. She believes that e-wallet payment represents a safer, more convenient, and cost-saving option compared to currently available payment options, while also serving to capture followers and data, as well as allowing for efficient tracking and management. Goh ended her presentation by encouraging merchants to try out e-wallet options, noting that there were already a number of ready solutions, so there was no excuse or reason to delay or procrastinate. The first speaker for this segment was CK Chia, senior manager of DingTalk. He spoke about his service, which is an app to assist in operations and management of a business. 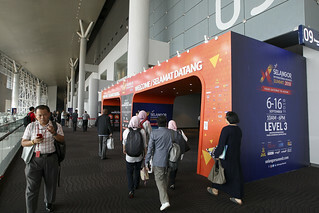 He noted that Malaysia is the first to receive DingTalk in Malaysia, as the app is predominantly in Mandarin. It is a modular system that has modules for communication, schedule management, attendance-taking, while also allowing for mobile approvals, a reports system, and further office automation. The next speaker was Suk Yin, from the strategic partnership team of Paydibs, a fintech company that specialises in payment solutions. She introduced CIMB Pay, which is the result of a collaboration between Paydibs and CIMB. Upcoming as well is CIMB QR Pay, which allows for a customer to scan a QR code to make a payment, and they are currently seeking more merchant partners for the system. She also spoke about the benefits of having a CIMB Business Current Account, which included fee waivers for Interbank GIRO, In-House Transfers, Telegraphic Transfers, and RENTAS.